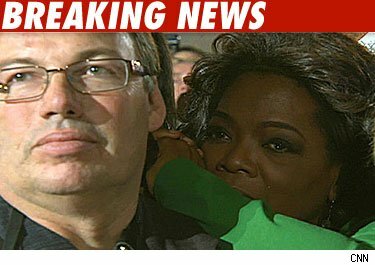 The man whose shoulder Oprah Winfrey used to cry on at Barack Obama's victory rally was a total stranger -- but we found out who he is. Sam Perry, a corporate development consultant, happened to be in the right place at the right time and comforted lady O as she cried for joy. Stedman better watch his step. UPDATE 4:43 PM ET -- O and Perry have already set up a second date -- on her show! He'll appear on Friday's episode.